The following themes are now available in sites.middlebury.edu and sites.miis.edu. We’ve been noticing periodic stability issues with the web-server that hosts the GO application. We anticipate that these issues will be resolved by an upcoming system update. This entry was posted in Midd Blogosphere and tagged ITS, LIS Staff Interest, Middlebury Community Interest, WordPress on April 20, 2015 by Adam Franco. Have you considered using WordPress as a course website, but aren’t sure how it might look? Are you using it already, but curious about new ideas? 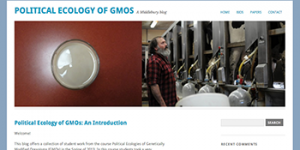 Here’s a sneak peek at how other Middlebury faculty have been doing it. Use WordPress’s blog “Posts” to share timely announcements with your class, and create “Pages” for static content like your syllabus, schedule, and resources that students need often. Publish student work informally on the web, or give students a way to share their work with other members of the class. By elevating students’ role in your site to Contributor or higher (Users > Change Role To…), students can post to the course site themselves. WordPress’s Privacy settings give you control over whether student work is limited to just the class or beyond (Settings > Reading). An entire class might collaborate to produce an archival and educational resource that lives on well after the course ends. LIS can provide extra support for ambitious projects. WordPress is flexible. Use it for a combination of posting course content, creating interactive opportunities for students, and as a platform to share student work. No matter which approach you adopt, your WordPress site can be visible to anyone on the web, limited to Middlebury account holders, or private to just the students in your course. To create a WordPress site for your course, visit the Course Hub > Manage Resources > Add a Resource > WordPress and follow the steps. Your LIS liaison is available to discuss ways you might use WordPress, walk you through the process, and provide additional support. 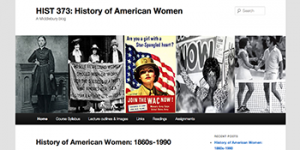 This entry was posted in Midd Blogosphere and tagged course sites, Curricular Technology, Library Spotlight, LIS Staff Interest, Middlebury Community Interest, WordPress on February 17, 2014 by Stacy Reardon. Thanks to a request by the New England Review, a new plugin called Simple Footnotes and Simple Footnotes Editor Button can be activated on your WordPress site for fast, elegant, hyperlinked footnotes. First, activate Simple Footnotes under the Plugins menu at your WordPress Dashboard. 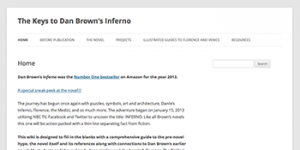 When you create a new post or page, you’ll notice a new ab1 button in the editing toolbar. Type the text of your footnote in the Insert a footnote box that pops up and then Insert. 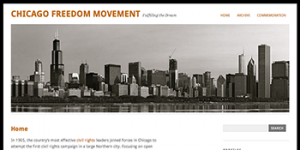 This entry was posted in Midd Blogosphere and tagged LIS Staff Interest, WordPress on October 7, 2013 by Rebekah Irwin. We are pleased to announce the addition of a much-awaited feature to our WordPress site network. As of today groups added to sites can automatically maintain their membership over time. 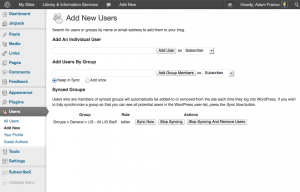 Site administrators will no longer have to go back into WordPress and regularly bulk-add groups to grant access to new group members. Adding a new group to a site. Note the new “Keep in Sync” option. All users currently in the group will be added to the site with the role you specified. Members of the group who already have a role with greater abilities will not have their permissions reduced. Members of the group who already have a role with less abilities will be raised to the role specified for the group. The groups synced are shown in a list and can be removed if desired. 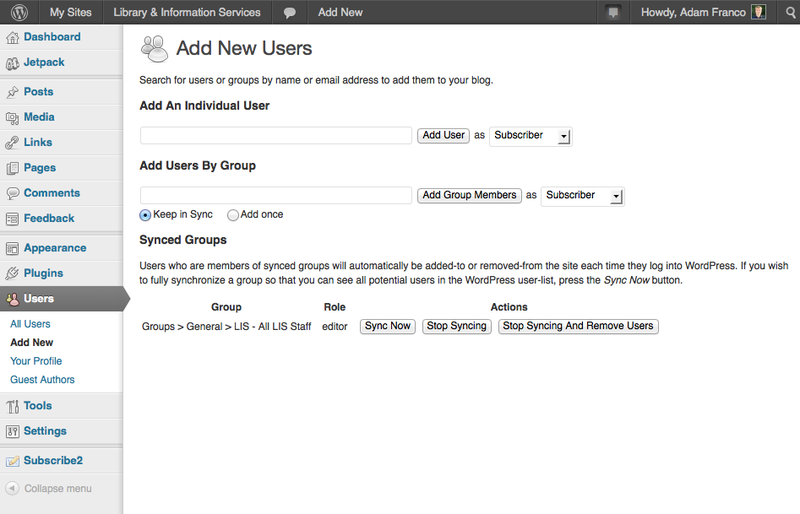 Over time, as people are added to the group, their roles in the site will be updated whenever they log into WordPress. If a person is removed from a group they will have their role in the site removed when they log into WordPress if their role hasn’t been manually changed to a different level. More details about group-synchronization are available in the LIS Wiki. Choose which role to give students in the WordPress site. When you save the WordPress Resource in the Course Hub three class-groups (instructors, students, and audits) are added to WordPress site and kept in sync. 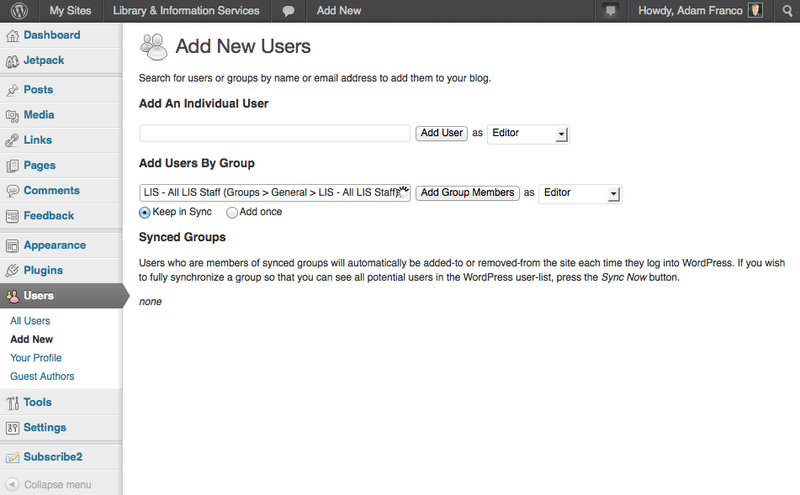 Instructors no longer need to do the extra step of going to WordPress and adding the class-groups to the site. As well, new students enrolled during the “Add/Drop Period” will automatically have access to the WordPress site when they log in after their enrollment has processed. The instructors, students, and audits groups are automatically added to WordPress by the Course Hub. 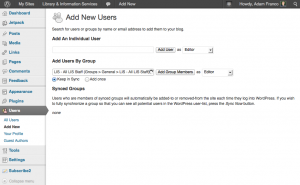 If you delete the WordPress Resource from the Course Hub the users and class-groups it added will be removed from the WordPress site, however the site itself will not be deleted automatically. 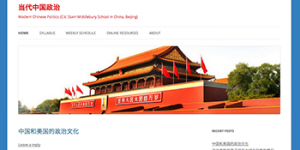 This entry was posted in Midd Blogosphere and tagged Course Hub, Curricular Technology, LIS Staff Interest, Middlebury Community Interest, Web Application Development, WordPress on August 16, 2013 by Adam Franco. This is an ongoing series of posts to highlight some of the features that we have installed in WordPress that you might like to use on your site, but might not know are available. This entry was posted in Midd Blogosphere and tagged LIS Staff Interest, Middlebury Community Interest, plugin spotlight, WordPress on February 28, 2013 by Ian McBride.